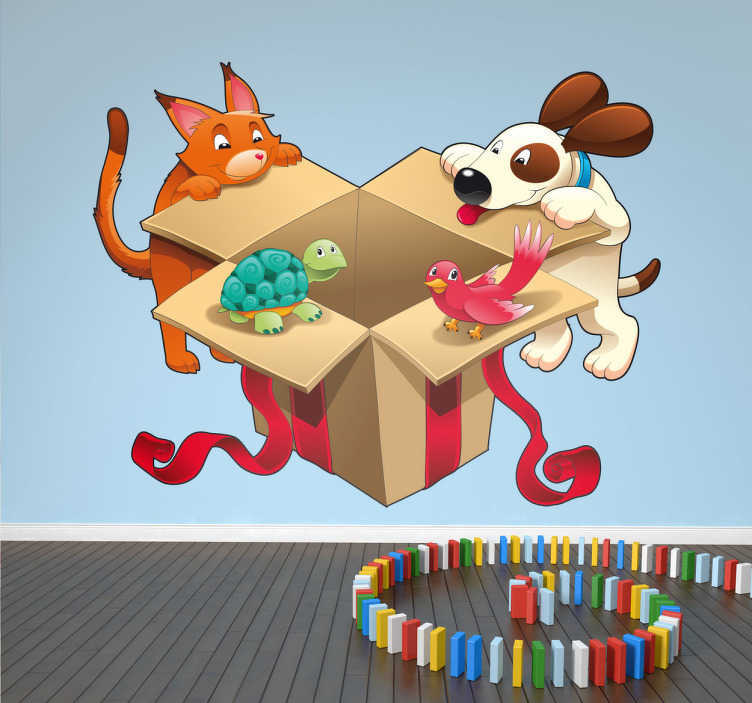 Animals - Fun and playful illustration of a cat, dog, turtle and bird opening a gift box. Colourful and vibrant feature for children or animal related businesses. Available in various sizes.